3 Bedroom Semi Detached House For Sale in for Guide Price £850,000. 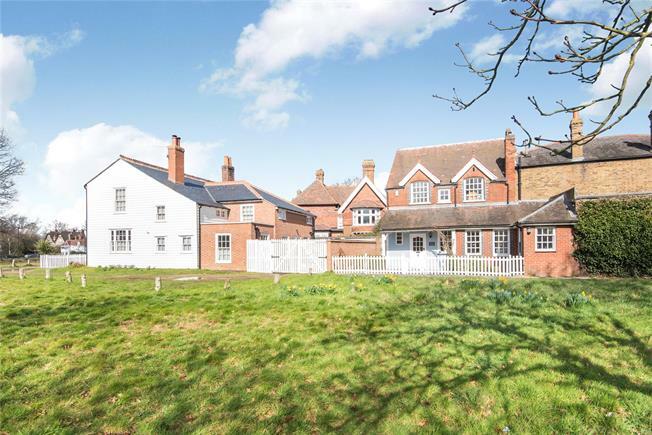 This property's price has dropped from £950,000 to Guide Price £850,000. Extremely rare opportunity to acquire this stunning three bedroom period cottage with picturesque views overlooking the common. The property is superbly located and offers deceptively spacious accommodation arranged over two levels. The ground floor boasts a welcoming entrance hall, large reception room, kitchen/breakfast room, shower room and a WC. The first floor offers three bedrooms and a bathroom. Outside enjoys a private garden to the front and there is a driveway to the side which leads to a garage. The property also offers potential to extend subject to the usual planning consents.